Creating an opera is always an intriguing process, a series of creative dialogues in which something new is brought about. 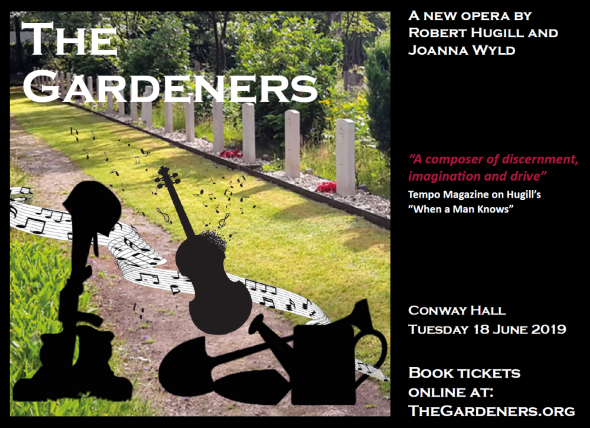 My new opera The Gardeners premieres at Conway Hall on Tuesday 18 June 2019 with conducted by William Vann. 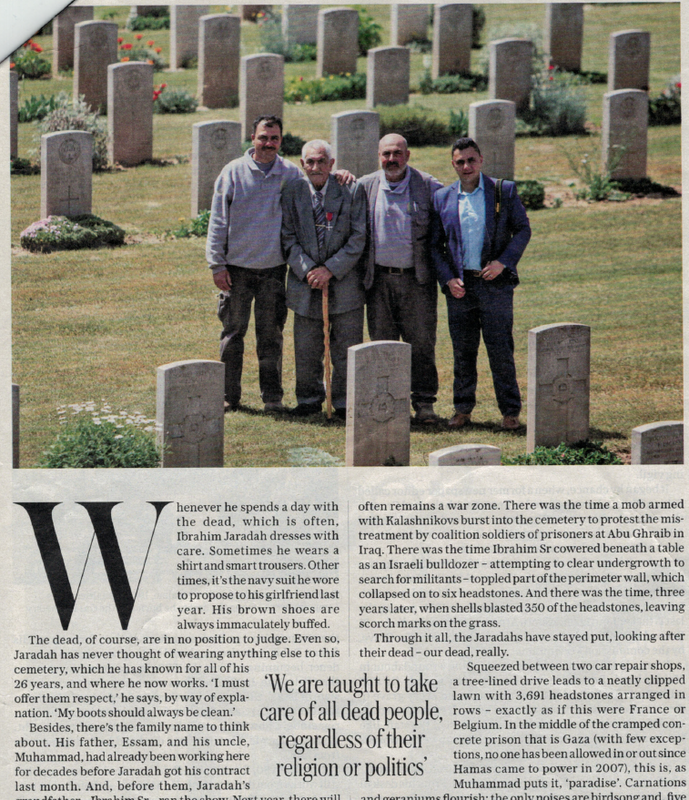 The starting point for the opera for librettist Joanna Wyld and I, was a newspaper article inspired by a Commonwealth War Grave Commission cemetery. In this article I look at the interesting journey we took from newspaper to finished opera. We are currently crowd-funding, with our campaign Help The Gardeners to Grow to help support the marketing of the opera, to enable it to be seen by the widest number of people, please do visit our crowd-funding page. When I interviewed the composer Jonathan Dove in 2017 [see my interview], he talked about the way he constantly assessed ideas, events and texts he came across in life for their musical potential, and I often find myself in a similar position. In 2017, I was in search of an opera, my previous ones had all been based on pre-existing texts, two plays and a novel, yet each had a key scene which had struck me first and stayed in the mind, the reason why I stayed with the subject. In the case of my opera When a Man Knows (which received its stage premiered in 2011 at the Bridewell Theatre, you can see the opera on Vimeo) it was the opening, a man hooded and chained in a concrete warehouse with just dripping tap. Not promising operatic material perhaps, but it engendered some striking music, the first section of the opera to be written. In 2017, my imagination expanded Rowley's description, and I conceived of an old man who didn't just visit the dead but who could hear them and speak to them. That was the problem, the article was not a sufficient source for a libretto and as a librettist my skill is in re-shaping existing texts rather than creating new words. I asked around and friends put me in touch with the writer Joanna Wyld, perhaps best known for her programme notes, and she was intrigued enough for us to arrange a meeting. I presented Joanna with my basic ideas, the old man, his hearing of the dead, along with a grandson who is an angry young man yet is forced to take over his grandfather's mantle at the end. I was also keen to avoid the need to write pseudo-Middle-Eastern music and wanted to universalise the story, keeping the religions and the locations non-specific. So though based on a cemetery which contains the graves of soldiers from Lord Allenby's Jerusalem campaign, the opera makes no specific reference to Jew, Muslim, or Christian, or to Gaza or Jerusalem. I like setting Rabindranath Tagore's poetry (his own English versions of his Punjabi) and thought that this might bring a certain non-specific otherness to the prayers said by the family in the opera, an idea that Joanna liked. So in the finished opera, prayers are based on Tagore. Joanna added her own ideas to flesh things out, the Dead's texts were inspired by Siegfried Sassoon, and she suggested expanding the family to include a mother and a grandmother. In fact, in the opera it is only these two whom we see gardening, all the men seem to do is talk and argue! The opening couple of scene were relatively clear, and I had an idea about the ending, but the middle section was far vaguer. It was Joanna who helped to fill in the gaps, and we had a very creative series of email exchanges over quite a long period as the opera grew. The Dead: Here dead we lie. We are here. Listen, brother. The Old Gardener: I listen, brothers. I am here. I am always here. Look! Shoes buffed. Tie straight. Hair brushed. Listening. The Dead: Here dead we lie, because we did not choose to live and shame the land from which we sprung. The Old Gardener: I tend the land from which you sprung. See! I render your garden peaceful so that you may rest. The Dead: We cannot rest. Life is nothing much to lose, but young men think it is, and we were young. The Old Gardener: We were all young, once. Look at my hands! Old hands. The Dead: We are always young. We have never grown old. Here dead we lie. The Old Gardener: Young for eternity! How strange that must feel. No, I do not envy you, brothers. For the music, I explored non-Western scales and chords, seeing what I could use to incorporate into my own style. For the opening scenes, each character had a sound world (harmony, timbre, rhythm, melody) which was consciously developed, and then I used this initial material as a source of motifs which reoccur throughout the opera. Previous operas used a piano as a key continuo instrument, but here I wanted to be able to also include something strummed to evoke instruments such as the lute or oud, which is how I hit upon the harp. To this I added clarinet and strings, a combination I have found flexible in my previous operas. My musical language is tonal, I like knowing I have somewhere to come from and to go to. So whilst my opera When a Man Knows did include a tone-row, its treatment soon became tonal. But I have always been interested in poly-tonality, having multiple keys at once, and in The Gardeners this came to represent the fundamental emotional instabilities represented in the opera. My initial setting of the opening scenes moved quickly from scene to scene but I realised that the work would benefit from some sort of distancing. So where Joanna's scenes moved in time or location, I created instrumental interludes which developed into an important feature of the opera allowing a degree of thematic development. Creating an opera is always a series of creative dialogues. Joanna and I have, between us, written something which neither could have done separately. Once the piece goes into rehearsal there will be further dialogues with conductor and with singers and instrumentalists, and the work will change again. I look forward to the performance on 18 June 2019, but this will hopefully only be the start of the journey. Enriching people’s lives through culture, increasing their awareness of the effects of global conflict, and entertaining people through critically acclaimed opera, please visit our Crowd-funding page.